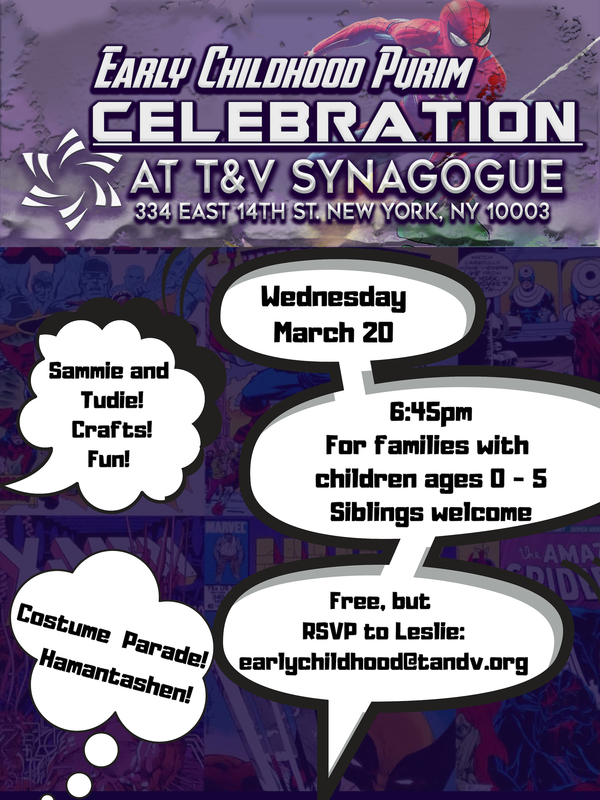 For any additional information, please email Leslie Azose at earlychildhood@tandv.org with class, child's name, and age. Be sure to visit our Facebook page and "like" us to make sure you don't miss a thing! Help your little one prepare for Shabbat with a challah bake drop-in class featuring music, singing, and a Shabbat story. Take home freshly baked challah! Baking is underway and ongoing through June 2019! **Packs of 5 and 10 classes are available. Drop-in classes are for 0-4 year olds and require adult participation. This special service is geared toward our youngest children. Educators lead interactive prayers, stories, and games. Even if your child is barely crawling, join in and soak up the Shabbat spirit! Services for 2018-19/5779 are underway! Through art projects, games, stories, music, and exploration, our youngest students will be immersed in the basics of Jewish knowledge including Torah, holidays, Hebrew and ritual. Students will have weekly music classes with Cantor Postman. Please contact Leslie Azose at earlychildhood@tandv.org for registration or any additional information. Kindergarten, or Gan, provides a continued introduction to Jewish life as celebrated in the Synagogue and the home. Through exploration of objects, symbols and ritual practices, students will learn how sacred space is created and the rituals used to celebrate. Students will have weekly music classes with Cantor Postman.